Pleased to say I sold my first LEICESTER CITY frame this week!!! My brand new design of the Premier League Champions is a retro tribute to the fantastic Foxes. It features many old faves who've valiantly served Leicester down the years. I'm hoping to get down to my unit at The Customs House in West Bay, Dorset soon to restock all things Retro Football, so I'll be adding more Leicester frames then. There are still some groovy fridge magnets featuring Foxes legends Frank Worthington and Alan Birchenall in there though, if you want one of those! The two different fridge magnet designs with the Leicester legends! 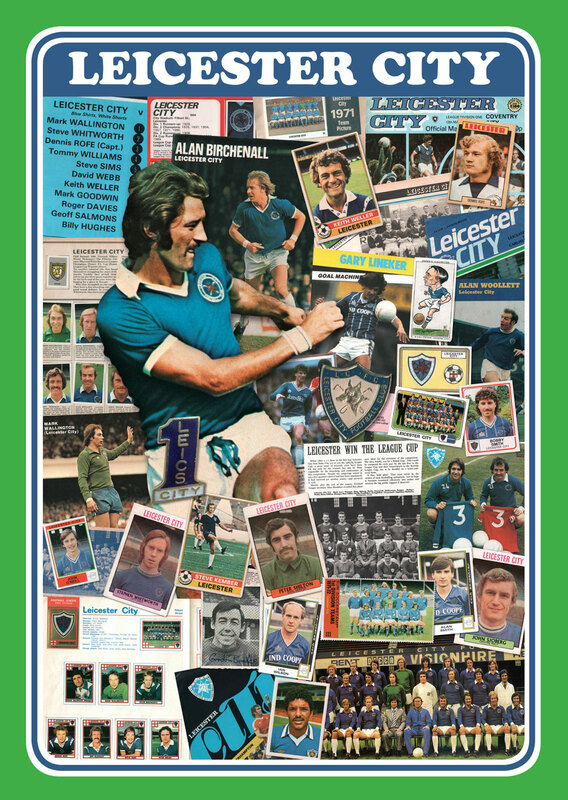 The retro Leicester City design, available in an A4 frame from my unit at The Customs House, West Bay.